UDM Downloads > Vista Photo Gallery! I recently found a new product from VistaPhotoGallery.com, a software company. The new product names, Vista Photo Gallery and it helps users to create attractive galleries of photos and put them online. Vista Photo Gallery is the first software that creates AJAX-powered web image galleries without the need for server-side setup. This means you just upload files generated by the software to your server and it will run immediately, even if it's a free host without php, mysql, asp support. 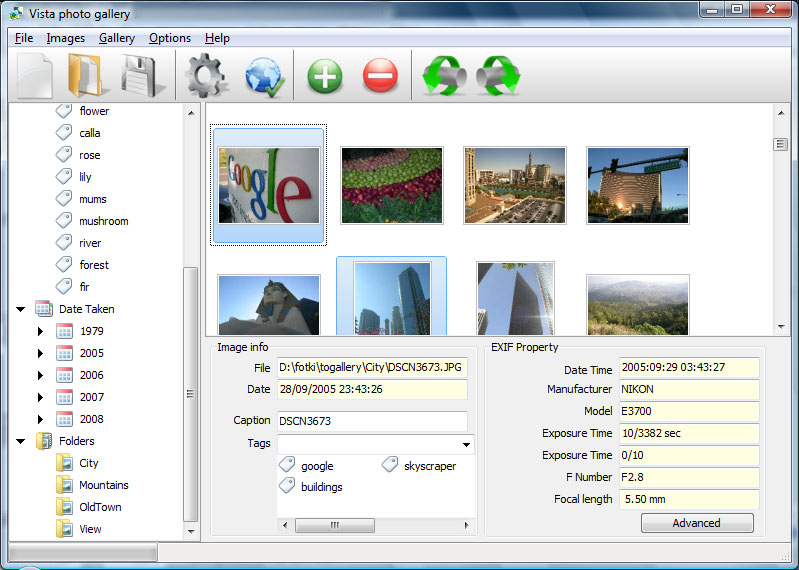 Galleries made with Vista Photo Gallery are high-end web applications that look and behave exactly like desktop apps. You and your web site visitors won't feel any difference! All operations, such as selecting a photo, filtering by tag and date, changing the preview mode, or scrolling, happens immediately. No more need to wait for page reloading after every click! Just drag and drop your photos or folders with photos and press "Publish" to get your web photo gallery ready! Vista Photo Gallery supports numerous image formats: JPG, GIF, BMP, PNG, PSD, TIFF and more. Don't worry about the compatibility of your images. Every picture added to Vista Photo Gallery will be automatically arranged by date and time. You can organize your images using tags, add captions, rotate images, and change the size and quality of your photos with Vista Photo Gallery. Online photo albums created with Vista Photo Gallery are fully compatible with all modern Windows and MAC browsers, such as IE, FireFox, Google Chrome, Opera, Safari, Netscape and more. Vista Photo Gallery is an excellent program that is friendly to amateur web developers, but at the same time is powerful enough to meet the needs of more advanced users. The innovative AJAX-powered engine is the key feature that makes web poto galleries look and perform great. I had some experience with other gallery makers before, but Vista Photo Gallery is definitely better in both ease-of-use and results.